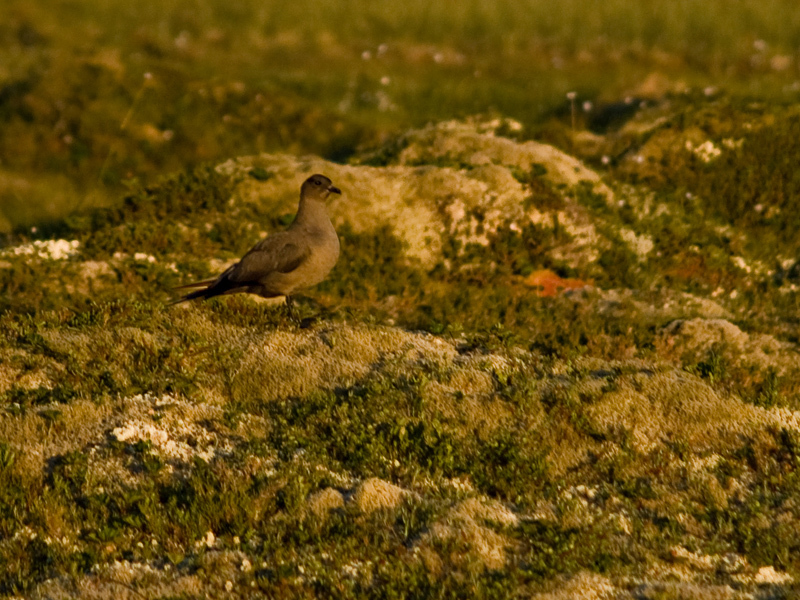 This is an Arctic Skua (Stercorarius parasiticus) also known as Parasitic Jaeger in North America. These birds are so fascinating to observe (I know I say this a lot but there is nothing more fascinating than the nature) because they chase other birds like seagulls and terns. They are chasing other birds to get the birds to drop whatever they are eating. Skuas are the pirates of the bird world! I found a couple of arctic skuas on a marsh pretty far inland. They were probably breeding because a fox came by and the birds attacked it violently. Did I say that I find the nature extremely fascinating? Here is another photo of the bird sitting on the marsh. This photo is cropped so it’s not as sharp as I want it to be. I’m saving for a lens with longer reach so I can take more wildlife photos. This is a really pretty bird and it’s amazing they can get the other birds to drop whatever they’re carrying. I bet it’s really cool to watch. Both of these are really great shots. I love the first one. Nice capture of it flying. Judging by the tail and wings, I would guess it uses speed and maneuverability to hijack other birds, am I correct? Look here to see what I mean.